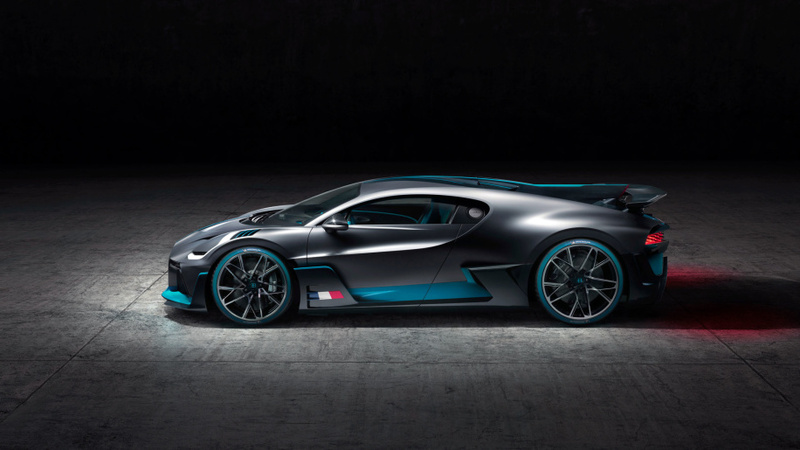 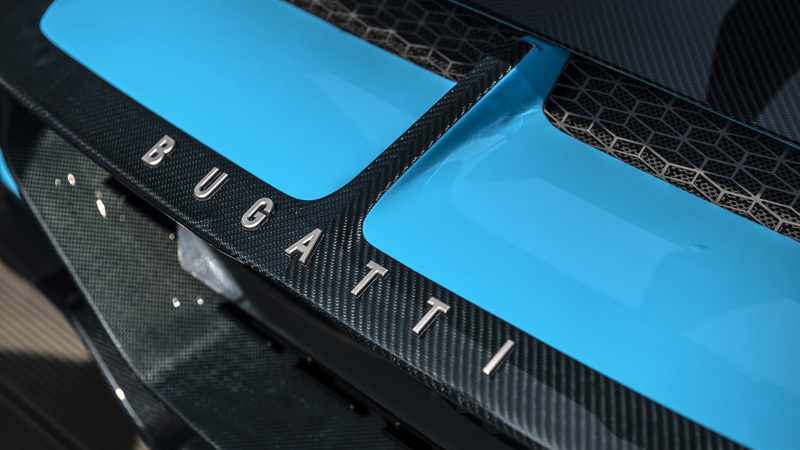 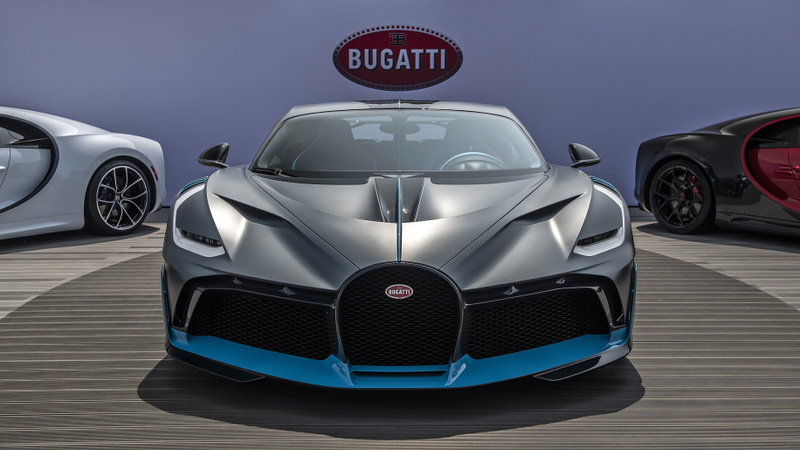 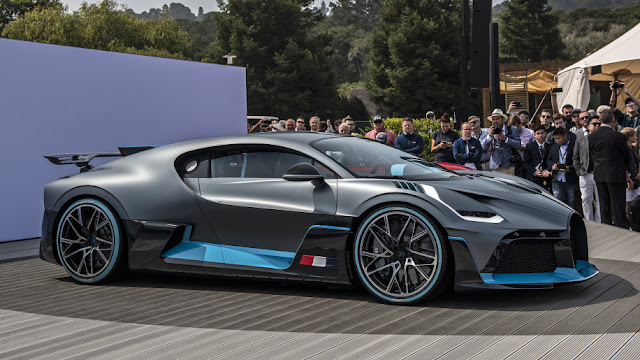 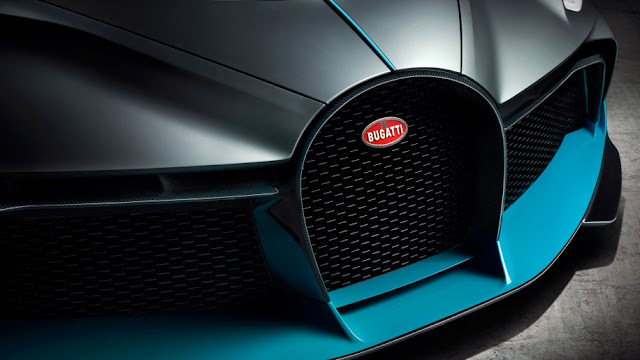 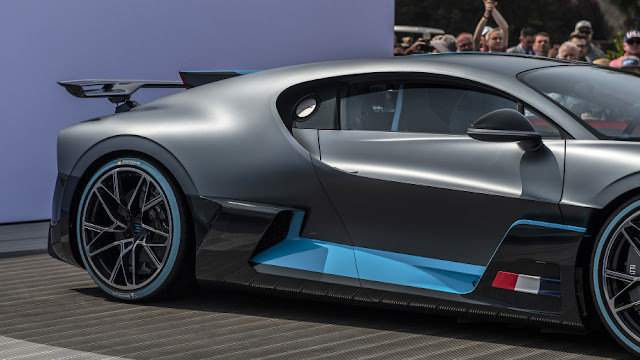 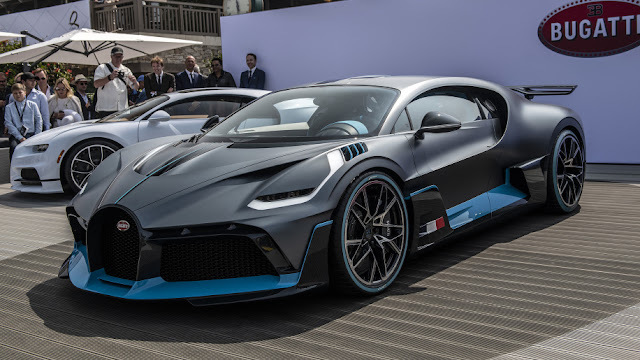 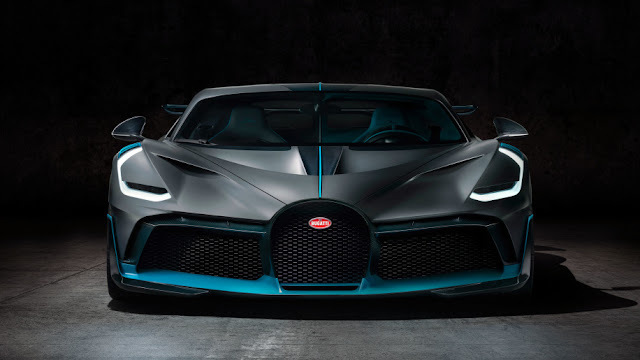 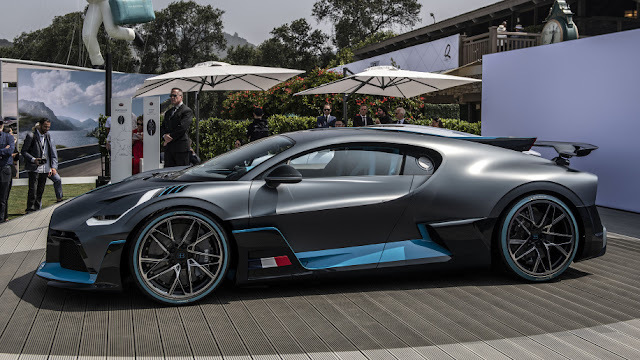 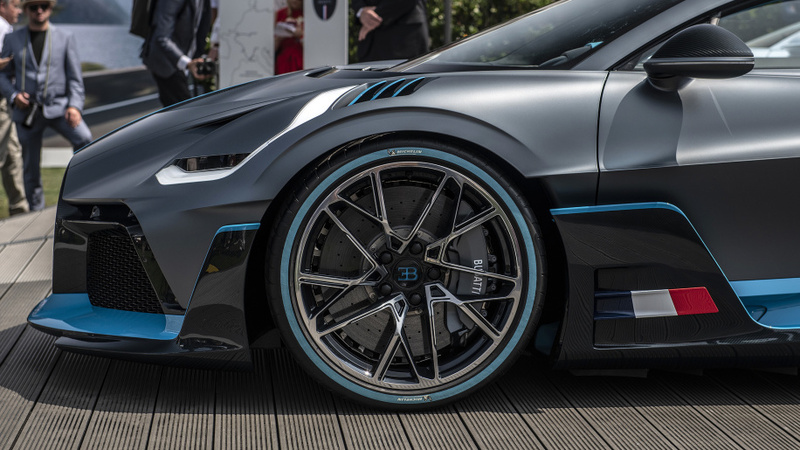 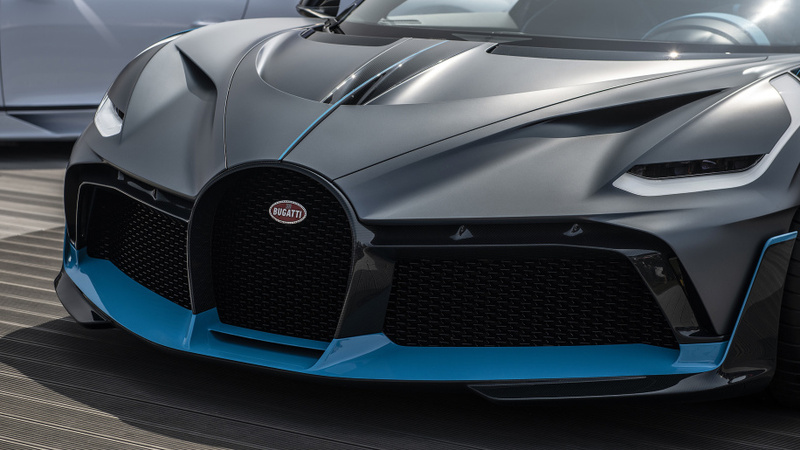 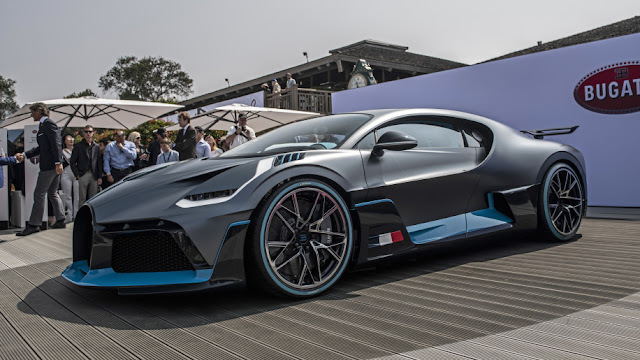 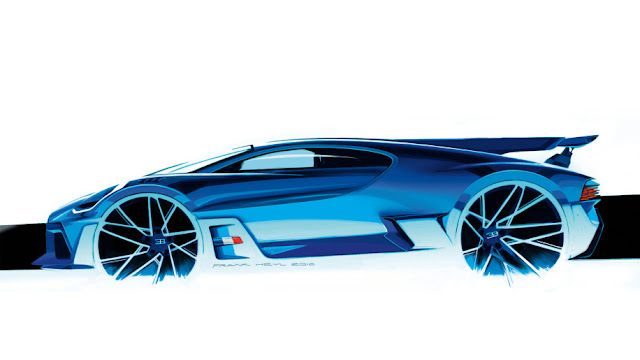 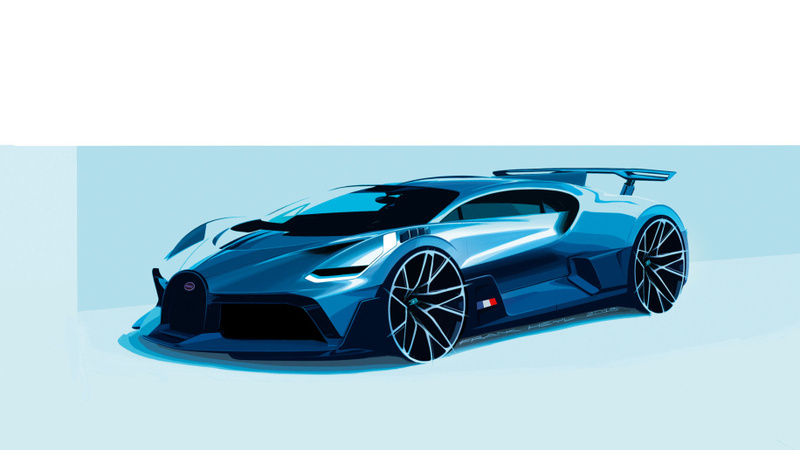 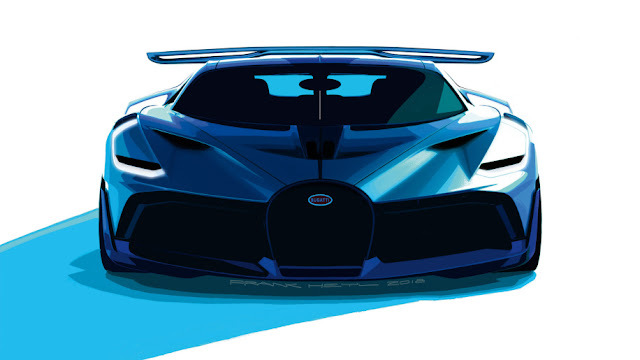 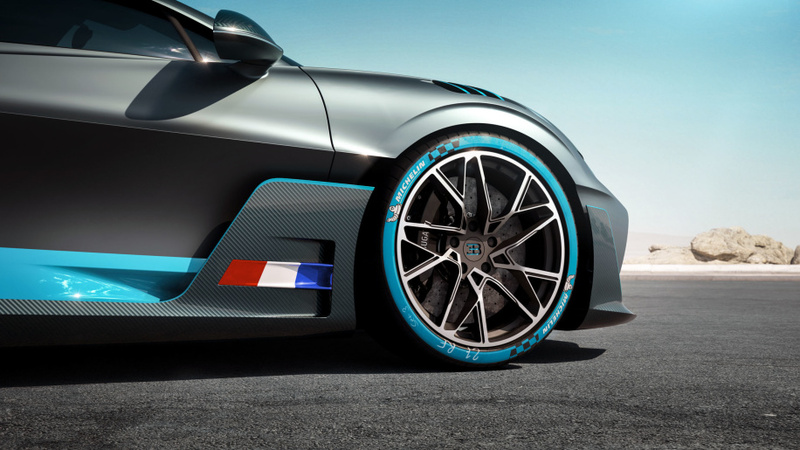 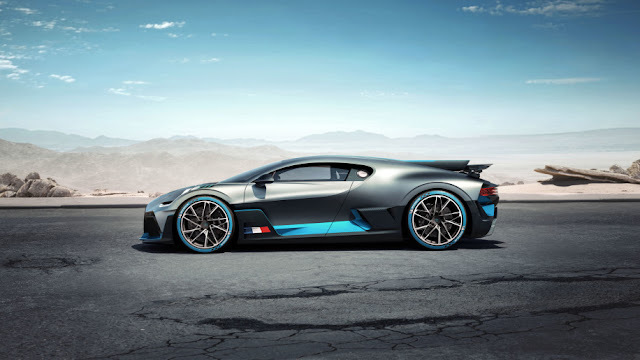 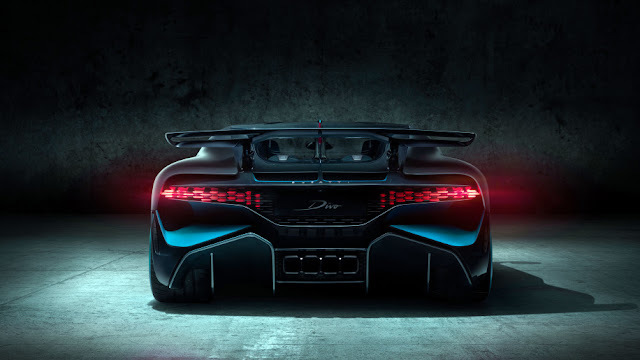 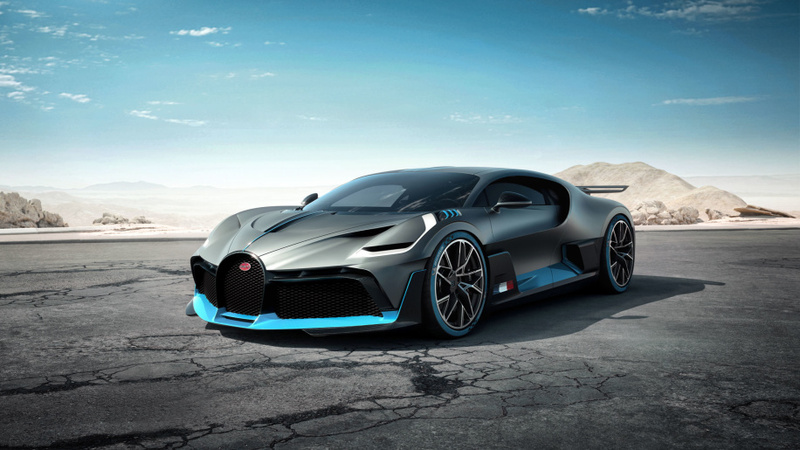 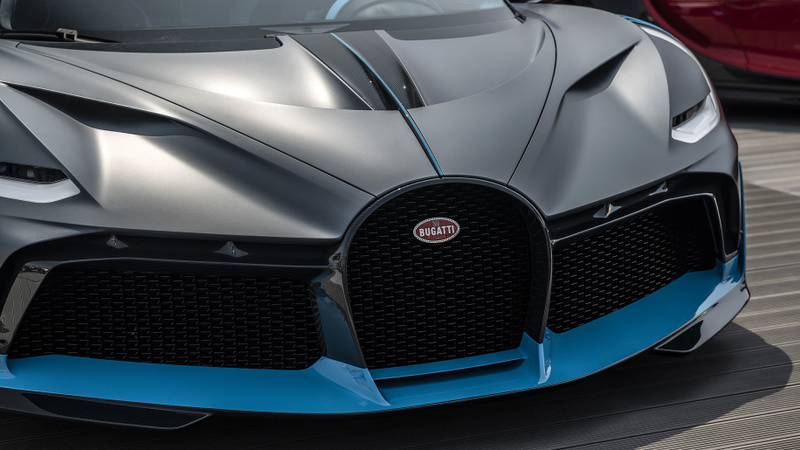 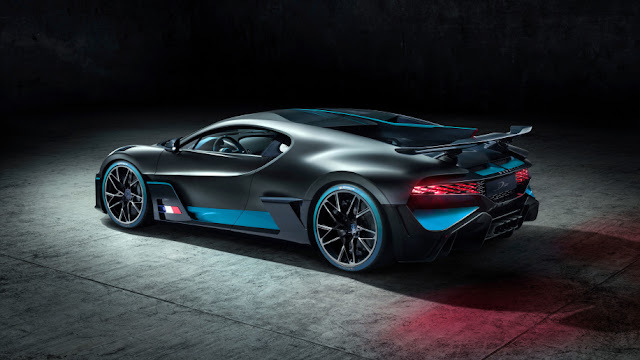 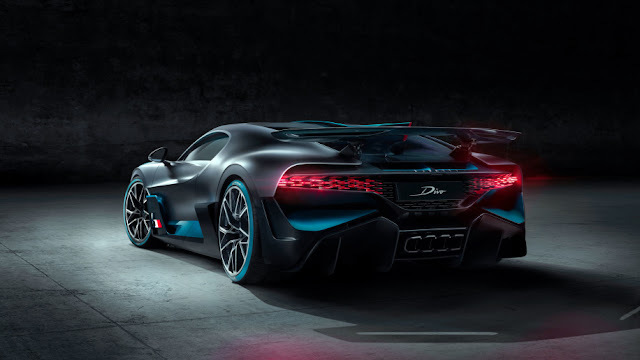 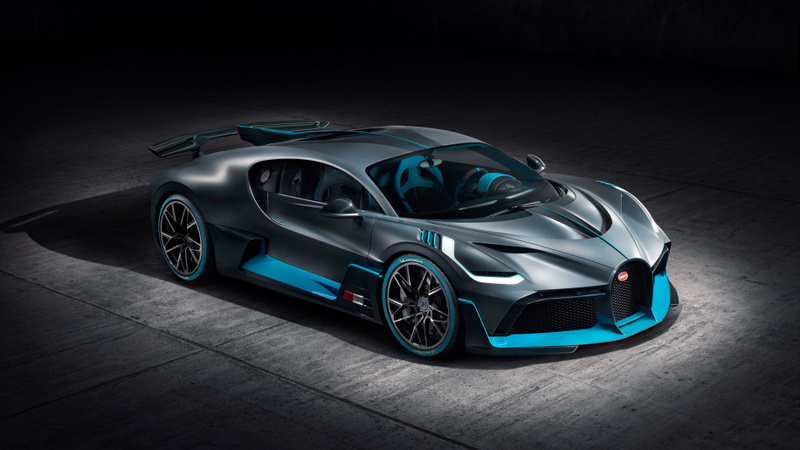 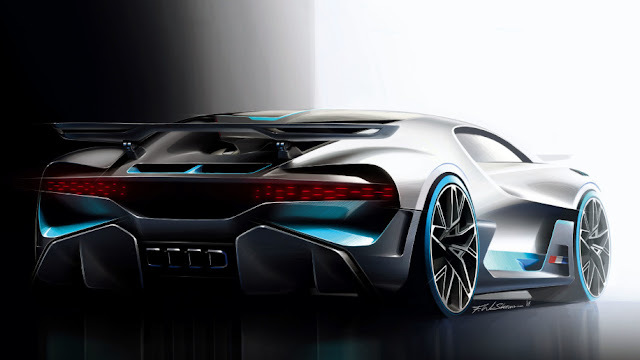 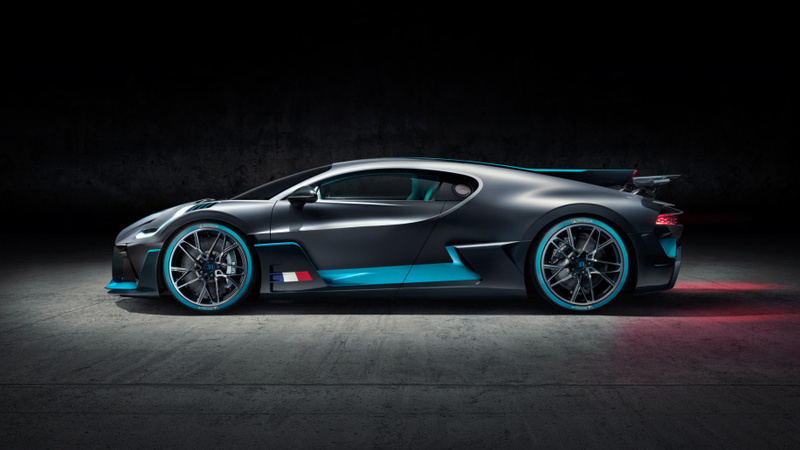 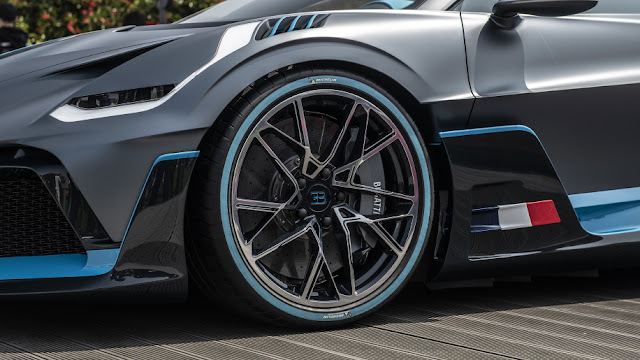 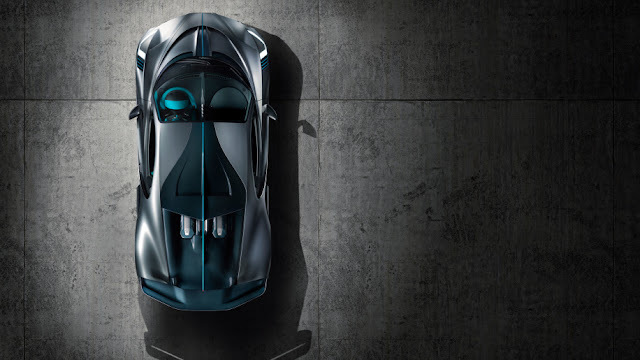 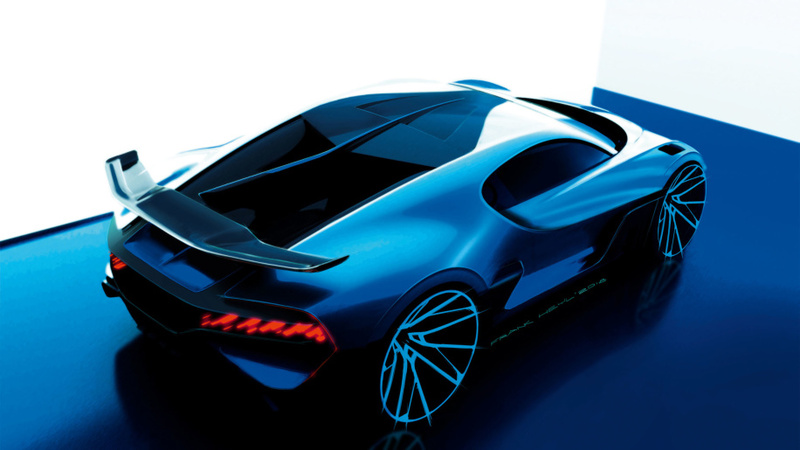 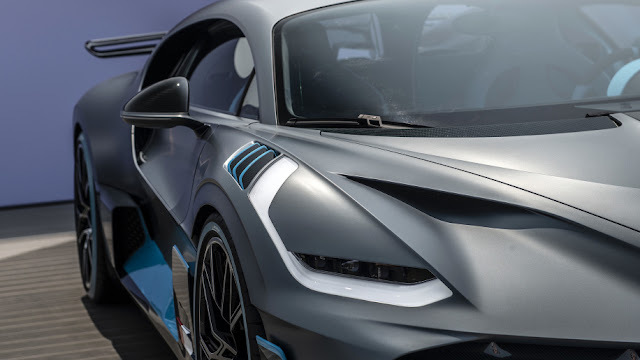 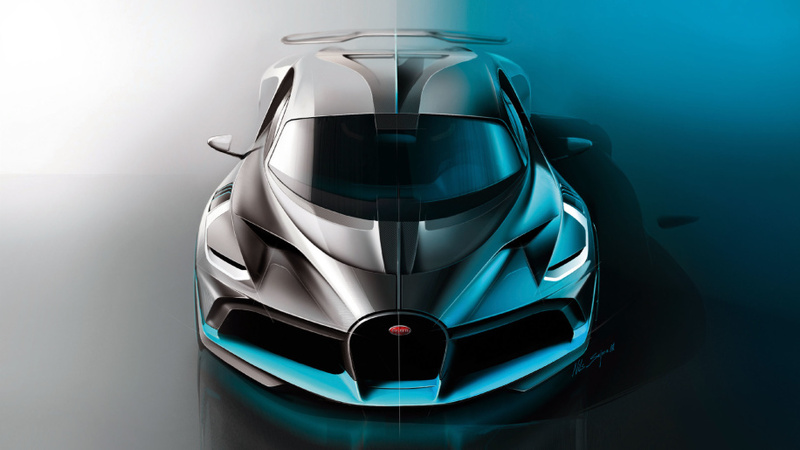 The Bugatti Divo is quite obviously based on the Chiron. 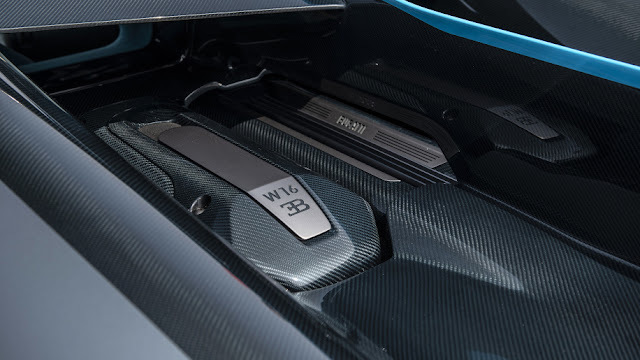 Though it shares that car's 8.0-liter W16 engine, it is 77 lbs. lighter and is capable of producing 198 extra lbs. of downforce. 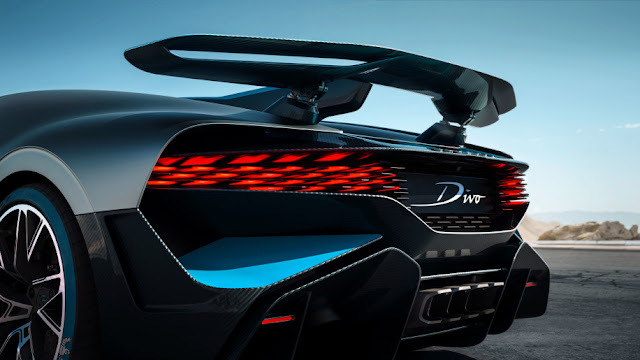 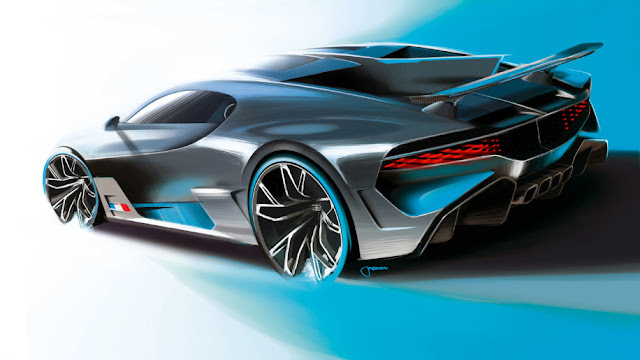 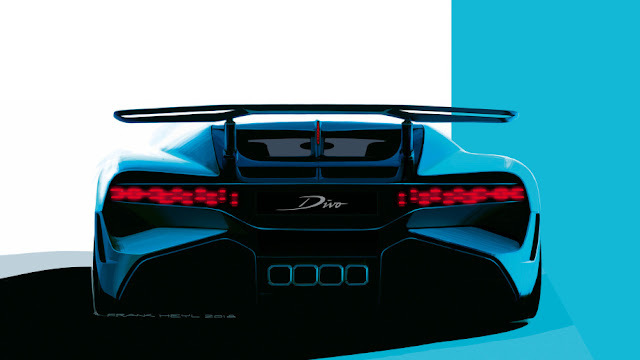 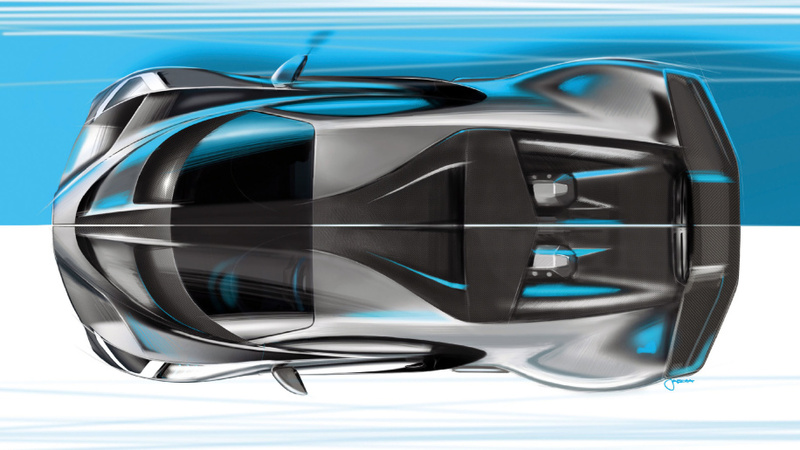 Basically, while the Chiron is all about top speed, the Divo is more about taking corners. 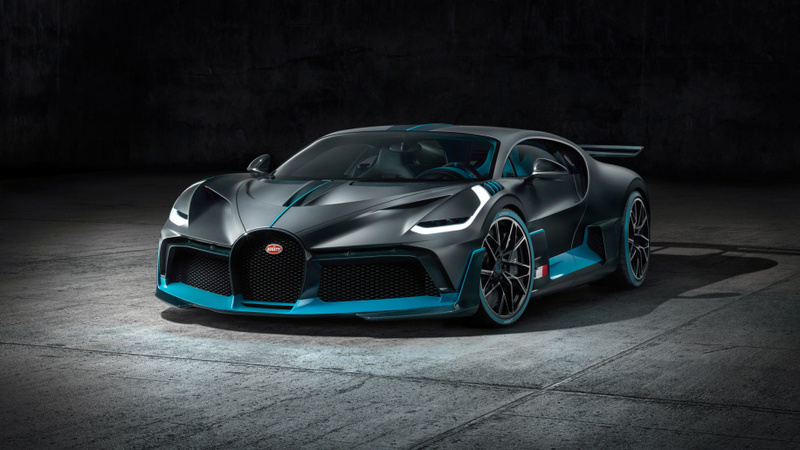 To that end, its lateral g is said to be 1.6 g, which is a staggering number, and its maximum speed is limited to only 236 mph. 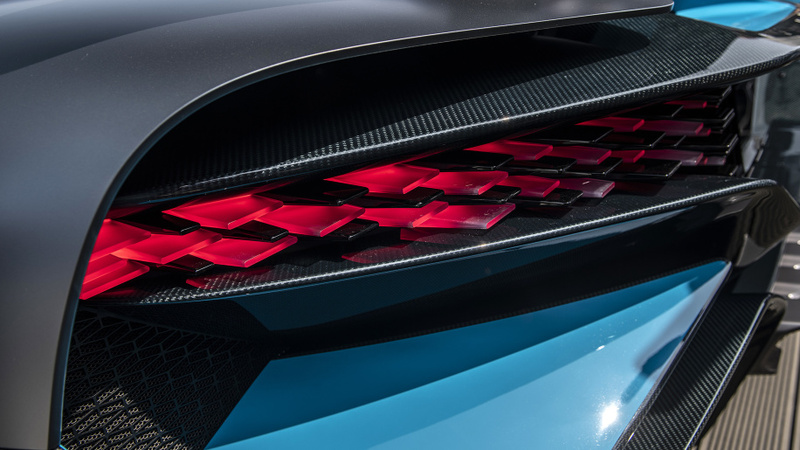 The newer, wider front spoiler contributes to that extra downforce, along with a new rear diffuser and a 23-percent wider rear spoiler that remains automatically height adjustable and still functions as an airbrake. It's a whopping 6 feet wide. 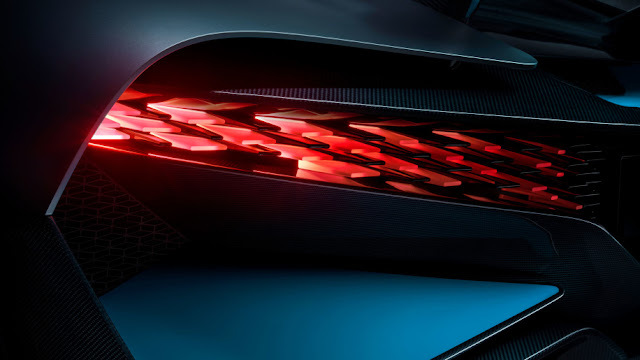 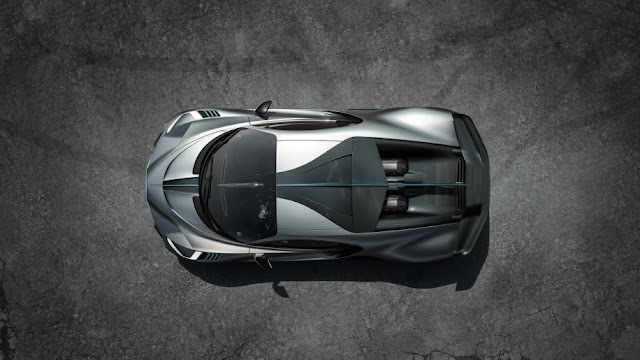 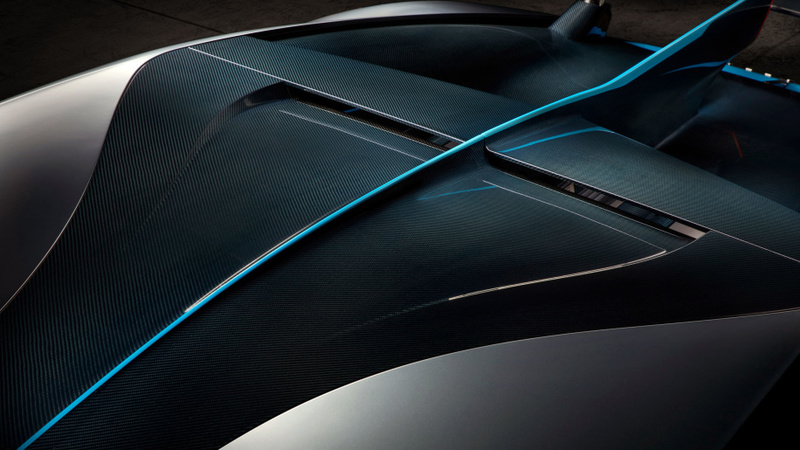 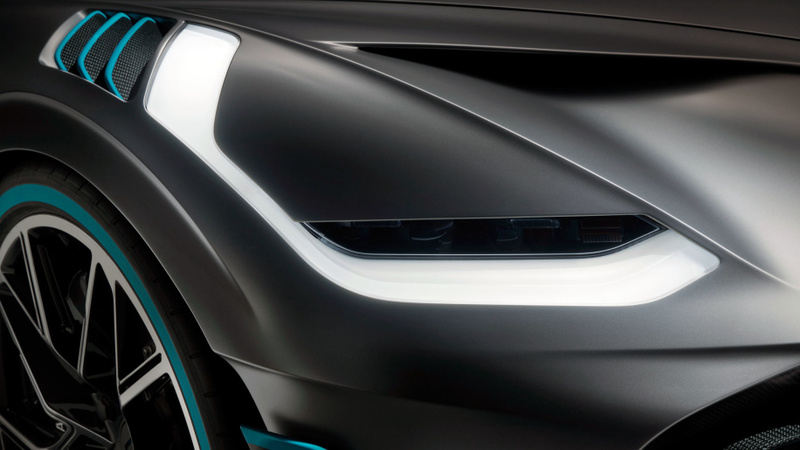 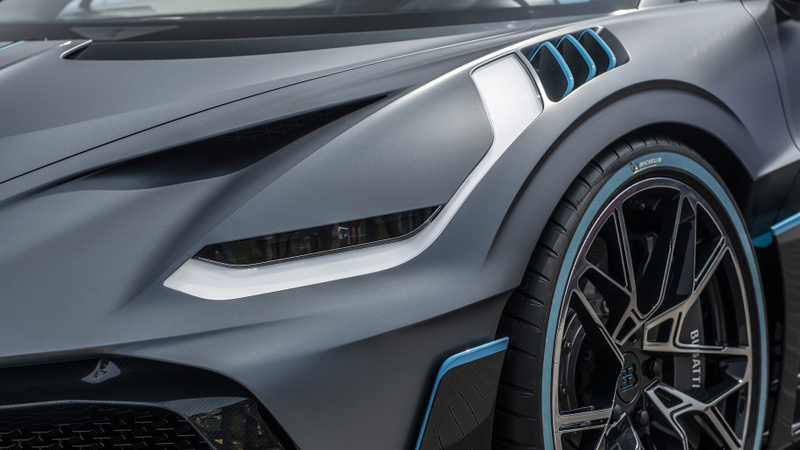 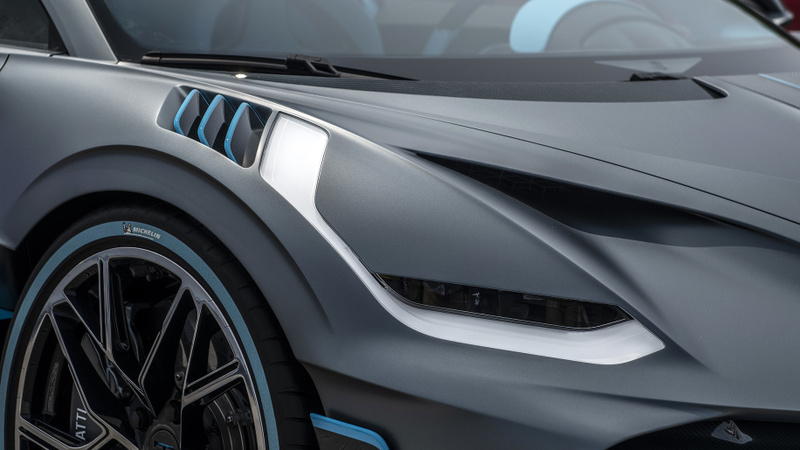 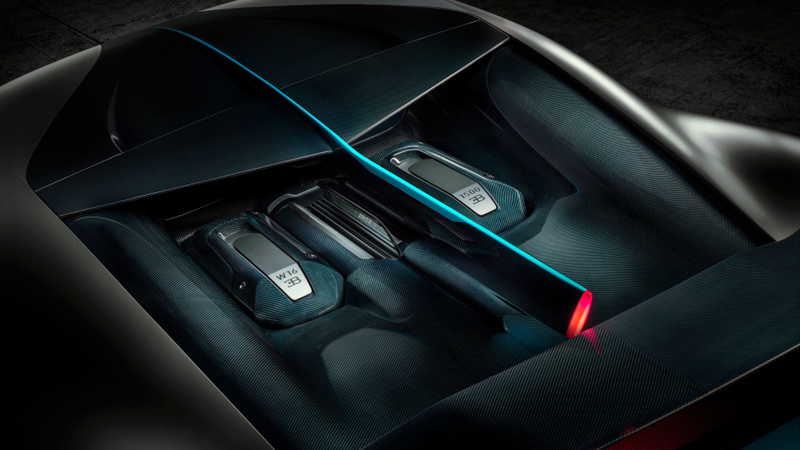 Tweaks up front also create an "air curtain" that optimizes air flow along the Divo's sides. Besides creating extra downforce, aerodynamic changes also increase cooling to the engine and brakes. 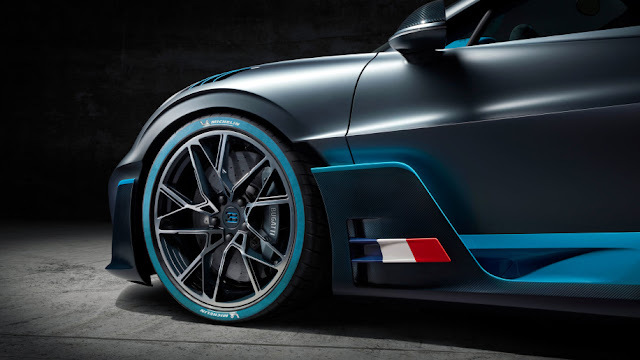 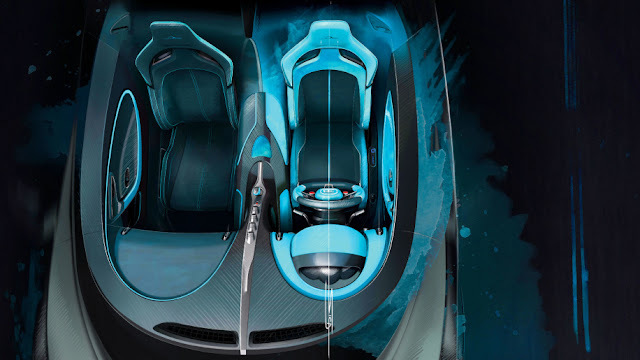 Weight was reduced by using lighter wheels and a carbon fiber intercooler cover, along with a reduction in sound insulation, a lighter sound system and fixing the otherwise adjustable front diffuser flaps.